There are basically four types of intellectual property: patents, copyrights, trademarks, and trade secrets. A patent is the right “to exclude others from making, using, offering for sale, or selling the invention throughout the [particular country by which the patent is granted] or importing the invention into [that country]” for a limited time in exchange for public disclosure of the invention when the patent is granted. See United States Patent and Trademark Office. The purpose of this power is to promote the public disclosure of inventions, and consequently, the advancement of science. 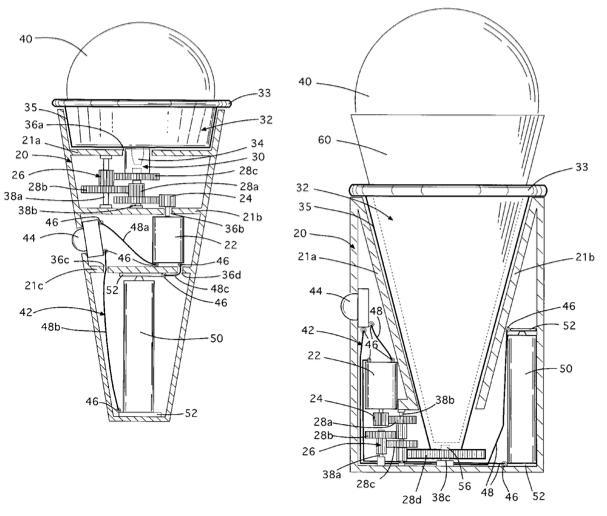 There are different types of patents, but most often people think of patents as protecting a physical invention, such as the motorized ice cream cone (in the above image). A copyright is the right to prevent others for a limited time from reproducing, publicly performing, publicly displaying, distributing, and making “derivative works” (i.e., a work based on an existing work) of “original works of authorship fixed in a tangible medium of expression . . . including, literary, dramatic, musical, and artistic works, such as poetry, novels, movies, songs, computer software, and architecture. Copyright does not protect facts, ideas, systems, or methods of operation, although it may protect the way these things are expressed.” See United States Copyright Office FAQs. Although copyrights exist from the moment the work is fixed in a tangible medium, registration provides additional protections, most notably, the possibility of “statutory damages” (a way to obtain damages without proof of actual loss) and attorneys’ fees. 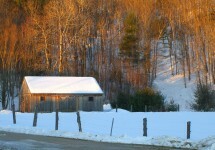 This blog post is an example of something that is copyrighted, as is the photograph above. A trademark is any word, symbol, or combination of words and symbols used to identify the source of goods or products in commerce (read, “your brand”). See Mark My Words . . . Trademark Basics. Trademark law (the Lanham Act, as well as state laws) protects trademarks – whether they are registered or not (registration provides additional protections) – so that consumers are free from confusion about what they are buying. As a federal judge, quoting Neil Young’s “Hey, Hey, My, My” once described trademark law, “You pay for this but they give you that.” In short, trademark law prevents anyone from using any word, symbol, or combination of words and symbols, that is confusingly similar to someone else’s trademark. For that reason, trademarks can last forever. 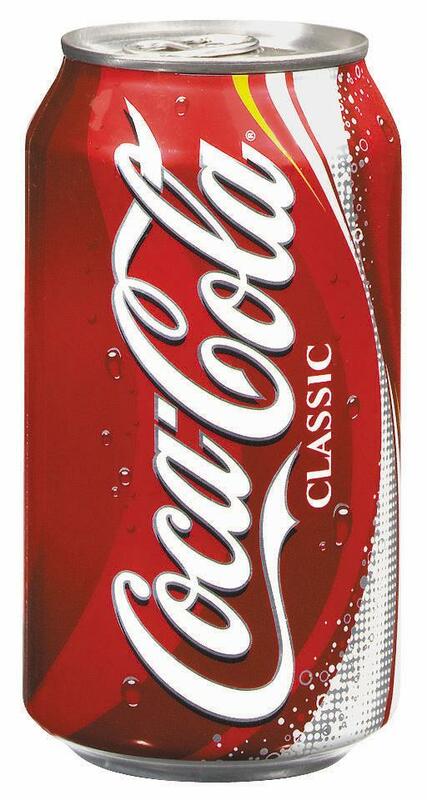 Example of trademarks are Ebay’s logo (above) and the Coca Cola logo (see the can below). A trade secret is any information with commercial or economic value that is not widely known and is kept secret. It can be virtually any type of information, including customer lists, business strategies, technical data, computer programs, and other things, and can last forever. See Terms of Art . . . What is a Trade Secret? Given that trade secrets must be confidential, they are not registered anywhere. The classic example is the secret formula to Coca Cola.